WARNING: Cursed Child has been out for a couple of months now, and there’s plenty of plot discussion online already. That said, be aware that spoilers lie ahead! 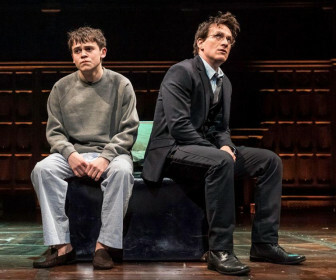 Ever since the script book for Harry Potter and the Cursed Child was released in July 2016, fans have been arguing about the new characters and additions to the existing Harry Potter canon. And trust us, there’s some big reveals! J.K. Rowling revealed on Twitter that everything that happens in Cursed Child should be considered canon (part of the same universe as the seven books). 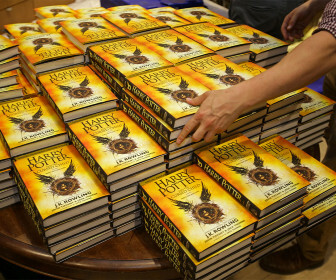 Read on to learn what this ‘eighth Harry Potter’ story has added to Jo’s universe. Albus Severus Potter is sorted into Slytherin. Aside: We’ve had a lot of people writing in asking what ‘beat’ means in Cursed Child writing. A beat refers to a “one-count pause“. Scorpius Malfoy is sorted into Slytherin, while Rose Granger-Weasley and Albus Severus Potter are sorted into Gryffindor and Slytherin(! ), respectively. Lily Potter is sorted into Gryffindor. Rose is a standout Quidditch chaser. Harry is the Head of Magical Law Enforcement at the Ministry of Magic. Hermione is Minister for Magic. For the first time nineteen years, Harry’s scar begins hurting again. Amos Diggory is in a nursing facility. Albus and Scorpius travel back in time (via a time turner) to the Triwizard Tournament. Their actions reveal a number of alternate futures: notably Voldemort has won the war, and the resistance (headed by Snape) meet in the Shrieking Shack. In an alternate future Ron is married to Padma Patil and Hermione is a professor at Hogwarts. Albus Potter is sorted in Gryffindor. Lord Voldemort and Bellatrix Lestrange have a daughter: Delphi Riddle. Presumably, Delphi was conceived sometime between the events of Order of the Phoenix and Deathly Hallows.